Bunnies, flowers, chicks, candy, crosses, wicker baskets and multi colored eggs. Do watchers from other galaxies think we are silly people or what? Enjoy your visit and Happy Easter! Easter basket with many multi colored eggs. He Has Risen in 3D PNG with transparent background. Bunny with large Easter egg. Happy Easter 3D in pastels. 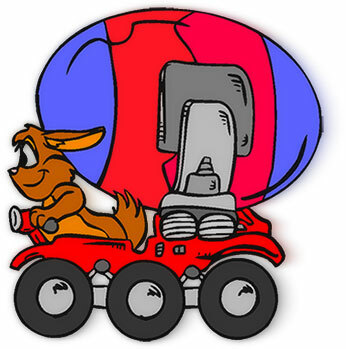 Easter bunny transporting an Easter egg. Basket full of colored Easter eggs. Happy Easter plus egg on a swing. 4 Chicks fascinated by a colored Easter egg. Happy Easter! 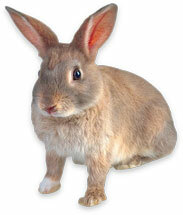 Nice bunny photo clipart image. Easter eggs with glitter animation. Happy Easter with flowers, eggs and animation. Happy Easter image with colored eggs. Easter bunny with two baskets full of eggs. 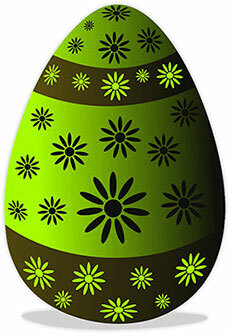 Easter egg with cross, flowers and animation. Easter egg animation with flowers. Happy bunny in basket with flowers and eggs. 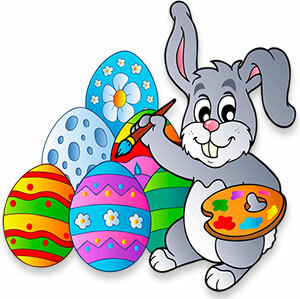 Easter bunny painting Easter eggs - JPEG image. Easter bunny smelling the flowers. 3 chicks ready for Easter. Hopping bunny on the move. Easter basket with eggs, grass and ribbon. Easter flowers with eggs hidden underneath. Easter basket ready to be filled with goodies. Bunny with spotted Easter egg.